This Sunday Lawrence O'Donnell will speak at Union Chapel. Normally viewers have to wait until midnight for Lawrence O’Donnell to get in his “last word.” But on Sunday in Oak Bluffs, he’ll be finished by noon sharp. Mr. O’Donnell, host of MSNBC’s political late-night show, former chief of staff on the Senate finance committee, producer and writer for the The West Wing, and author of the new book, Playing With Fire: The 1968 Election and the Transformation of American Politics, is the inaugural speaker for the Union Chapel’s 2018 Sunday Service speaker series. He plans to talk to Island residents about the role of the free press in American democracy. “Given the governmental and political climate, the press is a hot topic,” said Richard Taylor, organizer of the event. “So we identified someone who could speak to that.” Mr. O’Donnell will also host a book signing and question-and-answer session following the morning event. “We are recognizing Mr. O’Donnell not only for the work he does on television, but for the service he’s doing worldwide,” Mr. Taylor added. Mr. O’Donnell has raised money for students in Malawi through his nonprofit run out of UNICEF, Kids In Need of Desks (KIND). KIND also gives secondary school scholarships to Malawian girls who are in the gravest danger of missing out on their education. The Sunday service speaker series was launched when the chapel answered a call to do activities beyond the pulpit, Mr. Taylor said. On August 2, the chapel will host scholars from Boston University, Harvard and Princeton, among other institutions, to discuss the role of Feminist Voices in the 21st Century as part of an interactive panel. On August 16, the chapel board of trustees, Boston University Howard Thurman Center for Common Ground, The Dupont Corporation and The TJX Companies will convene a conversation with Valerie Jarrett, a longtime Oak Bluffs summer resident best known for her role as senior advisor to former President Obama. All Sunday services are free and open to the public. In addition to the lay speakers, on other Sundays the chapel will host a lineup of guest preachers, many of whom have come in years past. They include the Rev. Dr. Eboni Marshall Turman from Yale University Divinity School (July 8) and the Rev. 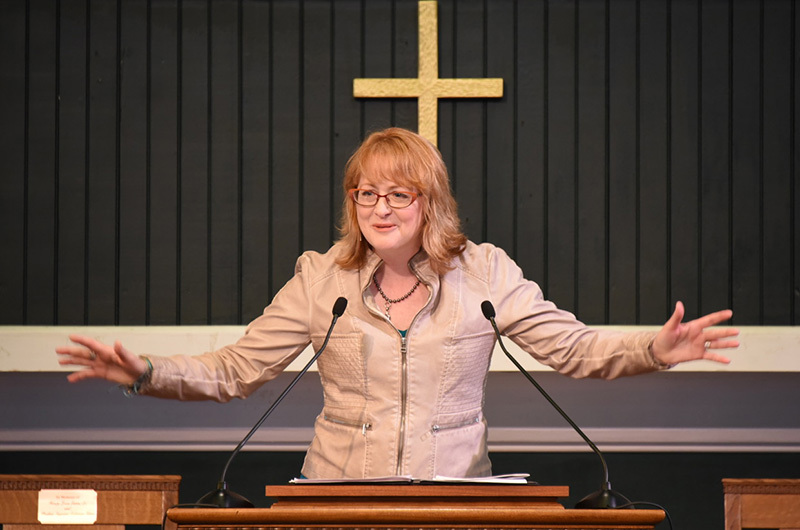 Susan Sparks from Madison Avenue Baptist Church in New York (July 15). New guest preachers include the Rev. 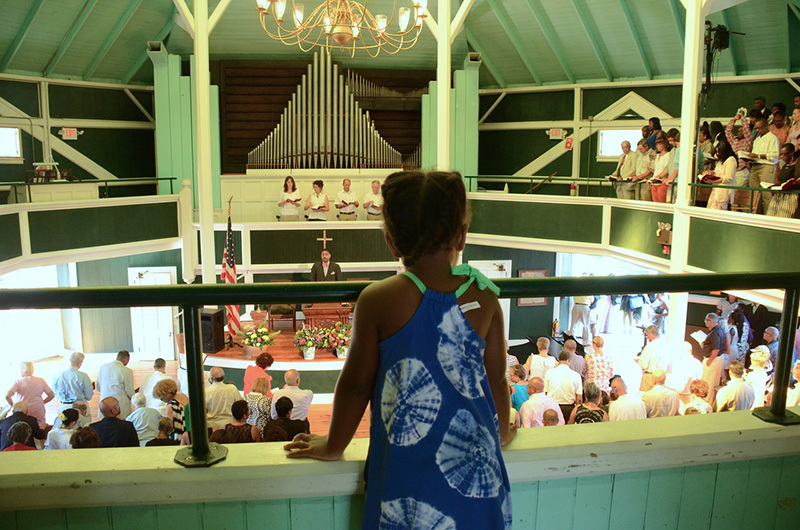 Dr. Howard John Wesley from Alexandria, Va., who hasn’t spoken at the chapel before, but has received rave reviews and recommendations from many on-Island churchgoers, Mr. Taylor said. He will join the chapel on July 29. On Sunday, August 20, the Rev. 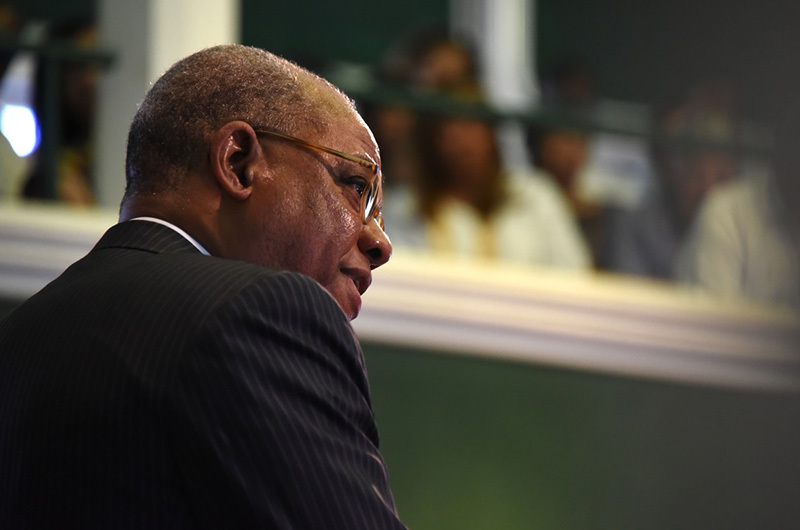 Calvin Butts, senior pastor at the Abyssinian Baptist Church in Harlem, N.Y, will preach. Union Chapel welcomes all people of all faiths every Sunday for its organ prelude at 9:40 a.m. and worship at 10 a.m. The chapel is a historic building owned by the Vineyard Trust, located on Narragansett avenue at the intersection of Kennebec and Circuit avenues. Access for people with handicaps is on Grove street. For a complete schedule, visit unionchapelmv.org. Rev. Larry Christian Green, Sr., will give his sermon, Oh Freedom, on Sunday, Sept. 2. The Martha’s Vineyard Jazz and Blues Summerfest kicked off on Thursday, August 30. It was just 100 years ago that Union Chapel raised a spire 96 feet into the air.